Victoria University Polytechnic builds on Victoria University's proud 100 year history of excellence in the delivery of vocational education, providing you with tailored, work-based and flexible courses. Graduates are equipped with both the technical skills and thinking abilities needed to adapt and evolve in a modern work setting. What you study today at Victoria University Polytechnic will take you closer to where you want to be tomorrow. Nasir studied Hairdressing as an International student and is influencing tomorrow by providing free haircuts and compassion to those in need. Victoria University Polytechnic provides an education closely linked with industry so that you walk away with up-to-date skills and abilities ready to thrive from the get-go. Victoria University Polytechnic apprentices learn in state-of-the-art facilities and are trained to work to the highest industry standards. By enrolling in a TAFE course at Victoria University Polytechnic, you'll open the door to further study. See available pathways in Nursing, Paramedics, Early Childhood, Engineering, Youth Work and Logistics. Your workforce is your most valuable resource. Victoria University Polytechnic works with you to ensure that our training adds measurable value to your employees, their work and to your organisation. Skills and Jobs Centres are part of a state-wide Government initiative to provide prospective students and employers with free advice on training, job opportunities and links to other services available to help improve skills, careers and the workforce. 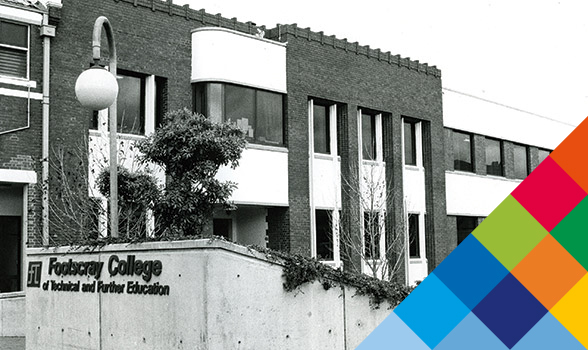 Victoria University’s (VU's) history as a TAFE provider and technical school dates back to 1916 when it first opened as Footscray Technical School. Today VU is one of the largest and most culturally diverse education institutions in Australia. In 2016 VU proudly celebrated 100 years of high quality, accessible education in the west of Melbourne.